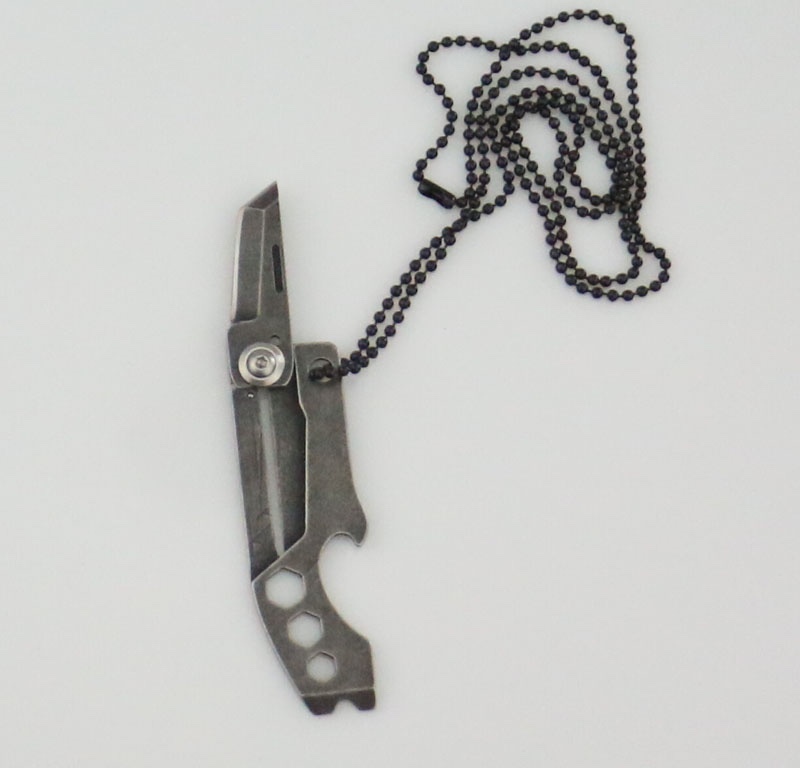 all metal mini foldable knife for ourdoor and camping. 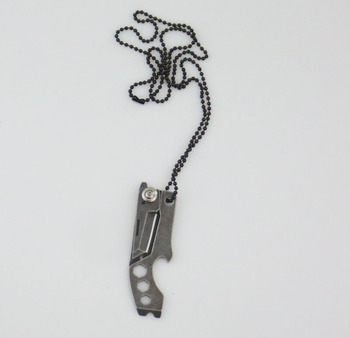 You can hang this knife on your neck. 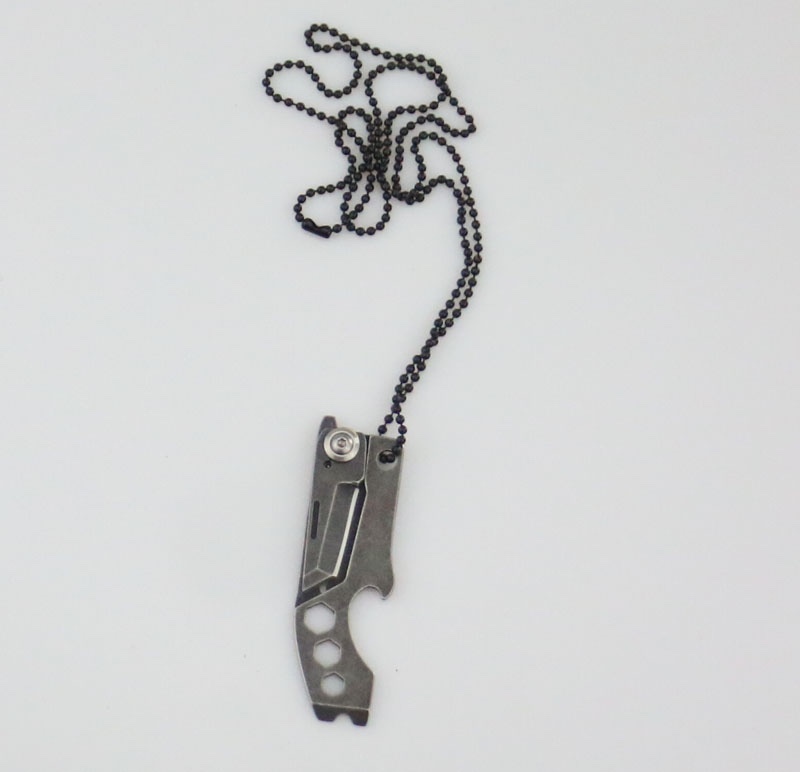 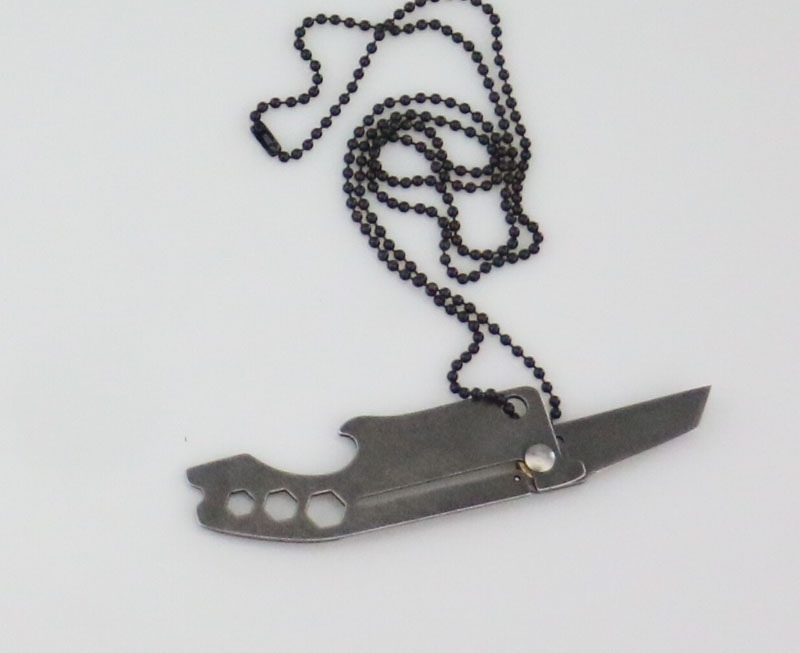 The ball chain is a safe chain and you can break the knife down from the ball chain necklace. 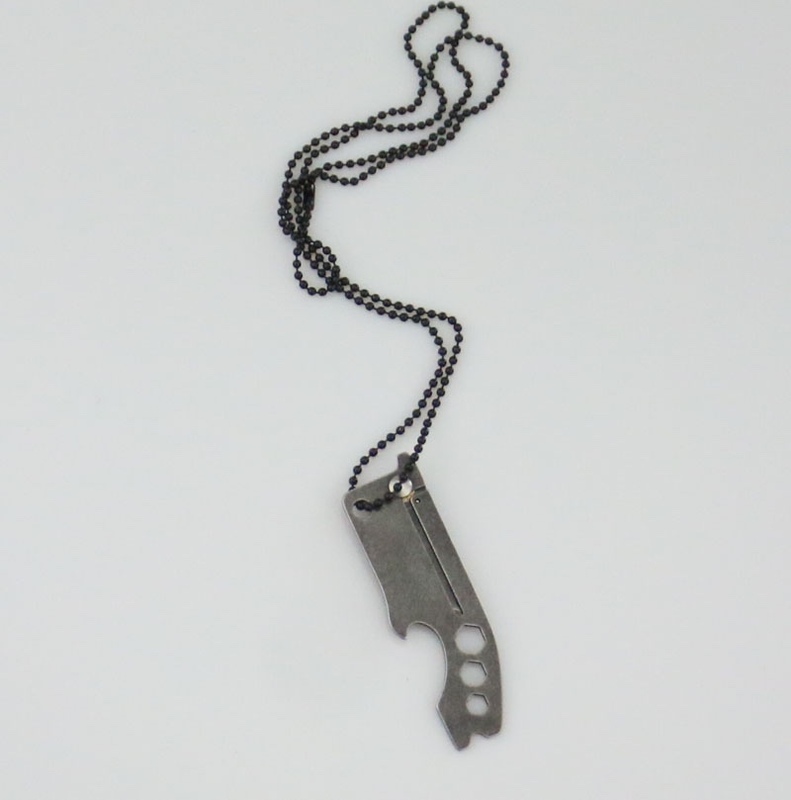 It is easy to carry and useful.